99% of Beauty packaging is thrown out after just one use. help us change that. return your BEAUTY KITCHEN '“empties” for FREE and WE’LL Wash & RE-USE THEM! All of our products are changing to carry the Return • Refill • Repeat stamp, starting with Seahorse Plankton+ & Abyssinian Oil skincare. If your product has the Return • Refill • Repeat stamp on it we want you to return your empty Beauty Kitchen packaging to us. We’ll wash it and re-use it. It’s even more sustainable than recycling! To say thanks for helping us on our mission to be the most sustainable beauty company in the world, we’ll send you a special reward via email for returning your packaging. This is currently available in the UK only, but watch this space for more exciting news soon. Here’s how it works - it’s as easy as 1, 2, 3. Download and print a free shipping label in just a few seconds and drop your packaging off at your nearest CollectPlus location (there’s 7500 of them in the UK).. You can re-use the box you received your products in, or any spare one you have lying around. Please, please, please make sure that the packaging is secure so that it doesn’t get damaged and can be reused… however avoid over-packaging! Please also try and send us back more that just one empty at a time, a few would be great… it is more sustainable and a lot less costly! Once we receive your empty Beauty Kitchen packaging, we’ll send you a special reward to say thank you straight to your inbox. Please, only send us Beauty Kitchen packaging. We are working on accepting packaging from other beauty products. We’ll wash your packaging and refill it with more Beauty Kitchen products in the next batch. Don’t worry, we’ll give the packaging a new lease of life and a brand new rock paper label (made from limestone, so it uses no trees.) This process can go on indefinitely, making it the most sustainable way to reuse packaging! Ready to get started? 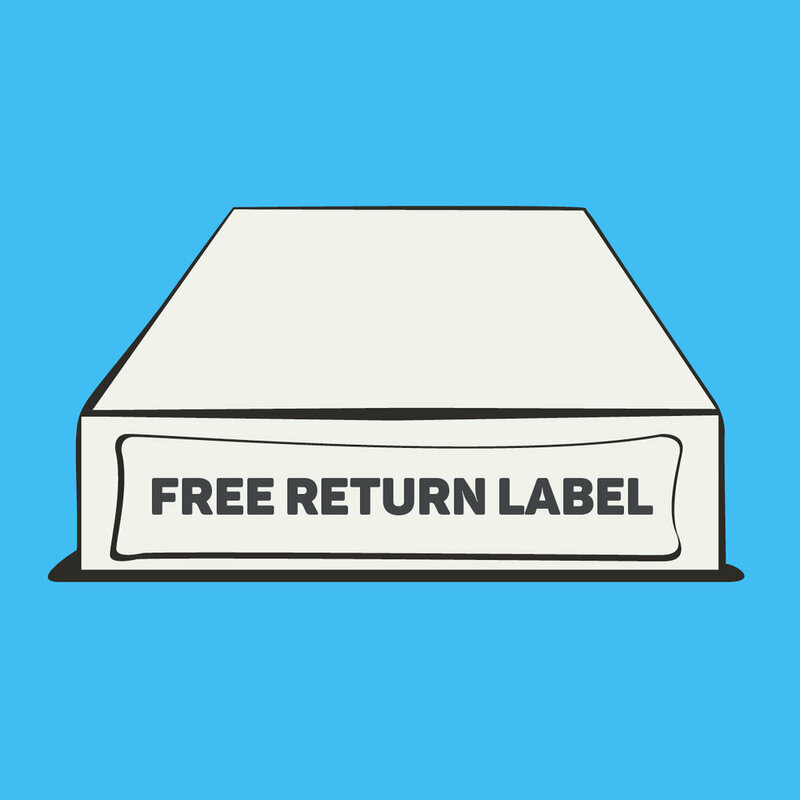 Click below to get your free returns label in just a few seconds!